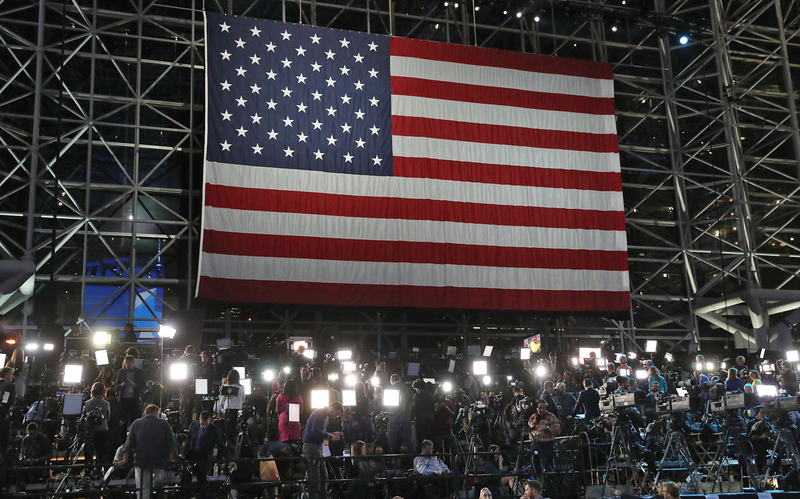 You may not buy into the argument that the news media failed in our coverage of the election, but one thing is certain: news organizations are suffering a credibility crisis. Several pre-election surveys have detailed deep mistrust in the media across all political persuasions — at record low numbers — and the election-night polling debacle is only going to make things worse. The vast majority of Americans don’t trust the media, so why would they believe — or take to heart — the media’s reporting? It doesn’t matter if journalists believe we’re trustworthy; it’s what news consumers think. It also doesn’t matter who we blame for the problem — Facebook, clickbait sites, Trump, Twitter, news consumers themselves — but what we’re going to do to fix it. It’s time to do something before it’s too late. So how do we regain the trust of America consumers? If we were to apply this thinking to another industry, like banking, how have banks worked to re-establish trust after the housing crisis? Or if we were apply it to a relationship, how would you rebuild the trust of a long-lost friend? After the banking crisis, transparency was #1 on the to-do list for a bank to rebuild customer confidence, according to a Gallup Business Journal report. What journalists and media executives deem as transparent, however, typically doesn’t go very far. After all, we’re an extremely competitive, defensive bunch, and admitting failure can be a career move. But when 74% of Americans believe journalists “tend of favor one side” (Pew), we need to get more creative and challenge ourselves to be more open with our audience. We should reveal why we make the decisions we make and where we get our information. We should loudly apologize when we get it wrong and explain what we’re doing to get it right next time. 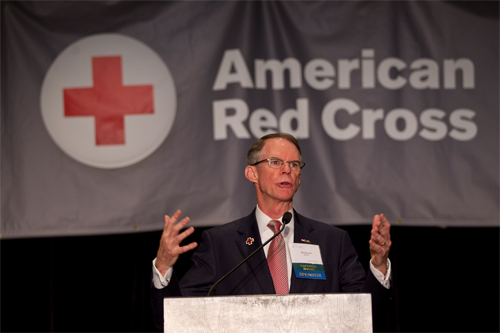 U.S. Bank CEO Richard Davis at a 2014 Red Cross event. Photo by Andy King. What’s the equivalent of open financials in the journalism world? This is not your standard “behind the scenes” reporting or a walled-off ombudsman: we need to have an honest dialogue with our community and a willingness to share our values and previously-private information (within legal limits, of course). We need to push ourselves outside our comfort zones and institutionalize transparency in our culture and our daily work. 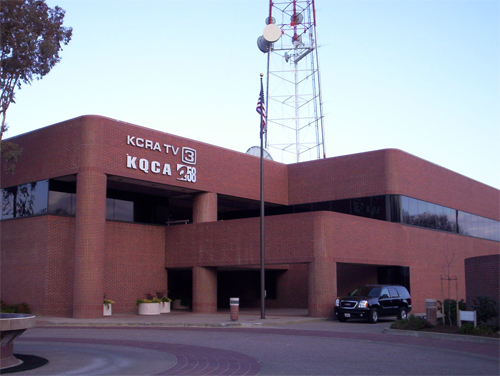 Way back in 1973, KCRA in Sacramento started one of the first consumer-advocacy units in local media. “Call 3” was not a flashy “problem solvers” outfit, but a serious effort to help people — often older folks — who called their volunteer phone bank. They solved nearly 70% of the cases they received — not just the ones that made it on TV, but the many thousands that did not. KCRA has been a ratings juggernaut as far back as I can remember — I worked there for a few years in the mid 90s — and the station’s out-sized role in the community over the years cemented a sense of loyalty that pays dividends to this day. Today most consumer-advocacy efforts in news are starved for resources and designed to drive ratings and clicks. Even Call 3 appears to be out of business after a 40+ year run. But imagine taking Call 3’s founding philosophy to heart, applying some technology and helping solve problems for people at scale. Not just consumer problems, but public safety (like Breaking News’ proximity alerts) and civic problems (like SeeClickFix). Solving problems is just the first step; we also need to measure the impact. For example, SeeClickFix says it has solved 2,563,800 issues in hundreds of communities. The more we put real numbers and faces behind the problems we solve — without taking too much credit — the more credible we become. 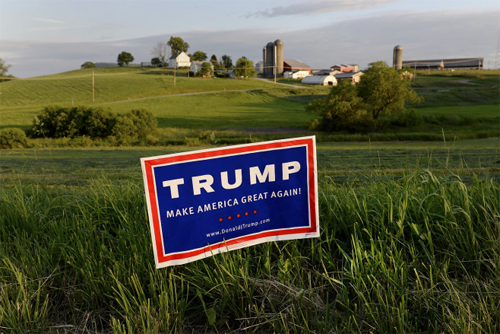 This election taught us that there’s a gaping disconnect between rural America and the urban centers where most media companies call home. Many in rural areas — often lower income — feel like they haven’t been given a voice in coverage and the national conversation. Photo by Politico’s Scott Goldsmith in a June story about Trump’s rural rise. There are real economic reasons why newsrooms have downsized in rural areas and centralized around larger urban areas — both at the national and local level. “The not-so-slow death of local news is clearly starting to affect our larger understanding of the US,” wrote Jason Abbruzzese in Mashable. But there are ways to begin to tackle this problem without breaking the bank. For starters, it’s easier than ever to distribute a workforce, from flexible employment arrangements to collaborative tools like Slack. News organizations can share more resources, and national news brands can tone down some their New Yorkness in products and marketing campaigns. On the local level, newsrooms can reduce crime-and-fire coverage — often the only times reporters visit smaller communities in their markets — in favor of more relevant stories that reflect the rural way of life. We also need to diversify our own social filter bubbles. “Any journalist critical of the Facebook filter bubble they saw Trump voters caught in needs to look closely at the Twitter filter bubble where they spend a lot of their work day,” writes Joshua Benton in NiemanLab. If we’re thinking like a business — which we are — then rural America isn’t a cost, but an important investment in our future. Years ago my wife and I created a neighborhood news blog, My Ballard, that unexpectedly turned into a thriving community and won an Online Journalism Award. People felt such a part of it, they associated themselves with the blog, even calling each other by their account names in real life. Similar to many news sites, the encroachment of social media changed the dynamic. People still connect with the brand through My Ballard’s large social presence, but it’s not part of them as much anymore. When people feel like a part of the news, they trust it more. So how do we restore communities in the age of social media, when comments and forums are more difficult than ever to manage? There are promising efforts like Civil, but I’m most excited by the idea of making movements. Let me share an example. Two former newspaper reporters in Seattle, John Cook and Todd Bishop, launched a site called Geekwire in 2011. At first it looked like another tech blog, but it soon grew into something much bigger. Beyond filling an information need, Geekwire was created for reason: “For reasons astounding to me, the Pacific Northwest can still be perceived as the homelier sister to Silicon Valley,” explained investor Jonathan Sposato in a blog post announcing the launch. Sposato had articulated a deep-seated frustration among Seattleites: that the rest of the country — especially California and New York — doesn’t give Seattle any respect. That point of view provided the fuel, and Geekwire nailed the timing, launching just as the city exploded in population and Beast Mode put Seattle sports on the map. Not a boring news event. A scene from the Geekwire Bash. While the site’s frequent scoops created a loyal audience both in Seattle and the rest of the nation, Geekwire’s steady clip of highly-entertaining, packed-out events has accelerated its growth. Thousands of new Seattle residents — nearly all working in tech — have found a way to make friends and get the plugged into existing Seattle tech scene. 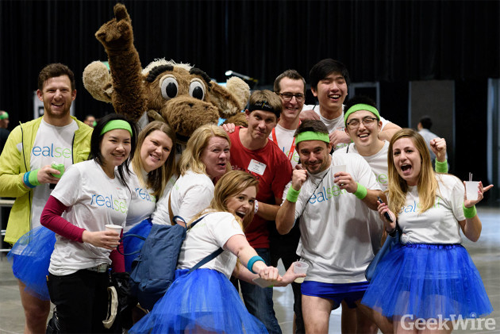 Together, it became a movement, and Geekwire has expanded beyond tech into space, science and sports, bringing its brand of fun along for the ride. I now visit Geekwire for my news more than any other Seattle site. Movements spring out of a cultural change and are fueled by an infectious and positive point of view. They connect people together, and it makes them feel like they’re part of something bigger. Movements don’t have to encompass an entire news brand; they can become the new verticals, tied to changes in our communities and even expiring when the time is right. Many national and local media organizations play a role in raising money, collecting food and distributing clothing to needy people in our communities. However, these efforts tend to happen infrequently, often tied to terrible tragedies or the holiday season. Americans give journalists poor marks for caring about the communities they serve. Back in 2011 — the last year I could find this question in a survey — only 26% of Americans said they believe journalists care about the people they report on (Pew). I imagine that number is even lower today. Building trust starts by lending a hand, not just for promotional purposes, but to really help. So imagine what could happen if giving is integrated in news coverage — not twice a year, but dozens or hundreds of times a year. We’ve been experimenting with giving in the Breaking News app. For example, let’s say there’s a local story about a family who lost everything in an apartment fire. What if there was a direct, trusted way people can help linked directly from the story itself? Promoted on social media while the story is still in the news, when people care the most? Then what if you check in on that family — or the charity that helped them — several weeks later to see the impact of those gifts? Not only does it raise exponentially more money for people who need it, but suddenly the tone of coverage is helpful, not exploitative. Journalists care in a very tangible way, and people begin to credit news organizations with the impact we make in our communities. But you say, you haven’t really mentioned quality. In order to rebuild trust, don’t we need to make higher-quality journalism? You’re exactly right. Quality is being more open and transparent. Solving problems for people. Giving a voice to the voiceless in rural America. Fostering communities around the news. And giving more to those in need. To regain our credibility and establish trust, we need make journalism a public service more than ever. News has become a distribution game — pushing stories to people — but we also need to invest more time and money in helping and engaging with the communities we serve. This isn’t a warm-and-fuzzy suggestion, it’s a business reality, and technology provides new opportunities for us to scale our impact like never before. Co-founder of Factal. Co-founded Breaking News. Formerly NBC News.